To help you find the Best Guitar Lessons, TopConsumerReviews.com provides you with an in-depth comparison of Guitar Tricks and Jamorama. 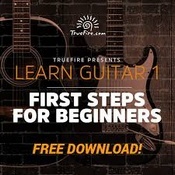 Guitar Tricks is a guitar lesson website that puts the learner first and creates an experience that is less intimidating than meeting with a live instructor who may not understand or care about your learning style. It helps take the anxiety out of guitar lessons with a variety of friendly instructors and bite-sized tutorials. Once you log in as a member, the Guitar Tricks home page directs you to beginner or experienced lessons or takes you to areas of the site where you can learn to play full songs or different styles of guitar. It also displays a list of the newest tutorials. The beginner and experienced lesson links each show you a graphic charting out where you’ll begin and what comes next in terms of fundamentals, levels, and genres of guitar music. They also provide access to various styles, techniques, artist studies, practice drills, chords and scales, and gear and tone tutorials. The Learn to Play Songs area is a large library of multiple genres of familiar music sortable by popularity, title, difficulty, artist, style, newest, and instructor. The Learn Styles of Guitar area is similar but only with buttons representing each genre. The top menu focuses on the key areas of learning: Lessons, Songs, Channel, and Forum. The Account button takes you to your profile and billing information page. Besides the top menu, the side menu begins with a convenient Home button followed by a Getting Started button that leads to a video and a detailed explanatory overview of all the learning options available on the site. Next is the Instructors button with names, photos, favorite genres, and a “Learn More” link for each instructor. The Progress sidebar button displays the Progress Center screen where you can see your last watched lesson, core learning system progress, song progress, lesson progress, favorites, and history. The Toolbox button shows a grid of resources like the scale finder tool, the jam station, a metronome, a chord finder tool, reference tuner, fretboard trainer, chord charts, tab guide and glossary. Finally, the News button leads to a blog page with categories such as announcements, bands, gear, how-tos, music theory, and quizzes. Pricing is not revealed until you sign up for the free account and choose to begin the payment process. But there is a 60-day money-back guarantee in case you want to try the full access pass to see if GuitarTricks will work for you. You can pay $19.95 billed monthly or opt to pay $179 billed annually. Free gifts worth $200 with annual billing include rock backing tracks, chord theory magic audio course, song builder’s toolbox audio course, and blues backing tracks. Guitar Tricks has a big bag of tricks! There is a lot for students to take advantage of with their system. They could be more up-front with the pricing, but at least there’s a generous 60-day money-back guarantee if it doesn’t work out. The price (and free gifts) is also reasonable whether paying monthly or annually.